Ladies it’s that time again...Bunco!!!! 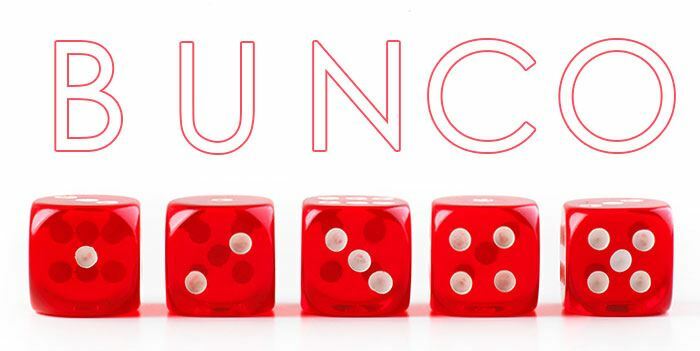 Please join us for a night of luck, fun, socializing, food and drink :) Even if you’ve never played the game before it’s very easy to learn and a great way to meet new friends. The ideal number is 12 so invite friends along who are looking to check out the Newcomers Club, this is the perfect opportunity for that! Please let Morgan know if you’d like to bring a wine or snack for everyone to share.